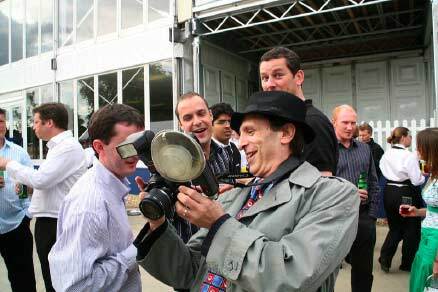 The pressmen provide a good balance between Photojournalism and Entertainment performing s fake paparazzi. 1. Meet and greet entertainment as guests arrive. Helps to make the guests feel special and provide basis for good atmosphere during the event. 2. Provides a non formal record of the event. Interesting informal shots rather than forced poses. 3. If monitors are provided can create an ongoing slideshow of the guests at the end of reception. People like to see themselves. 4. Provide a website or disc of all the photographs. Allows you flexibility in how you receive and use this material.